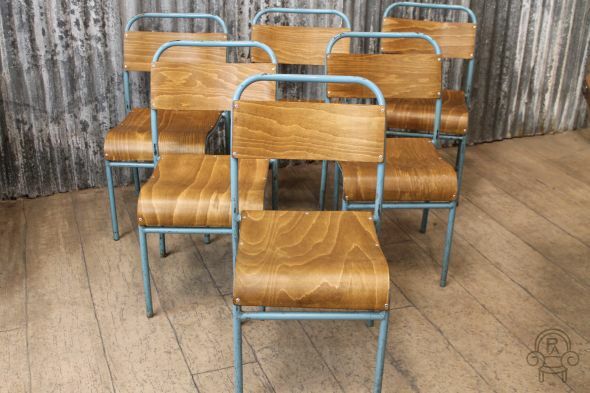 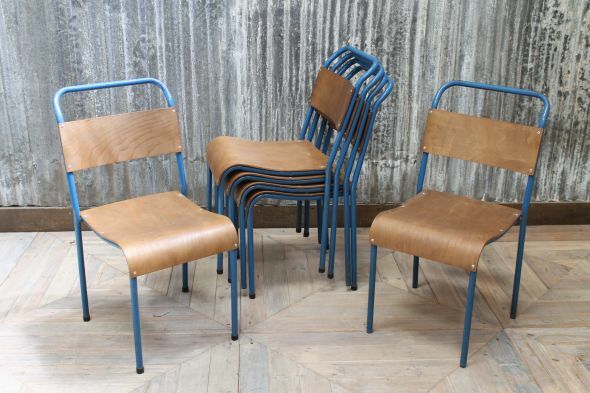 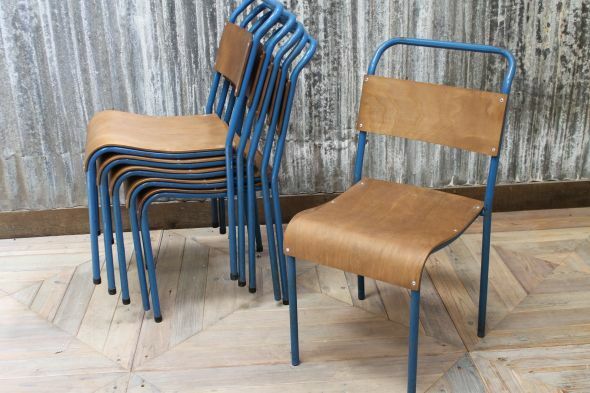 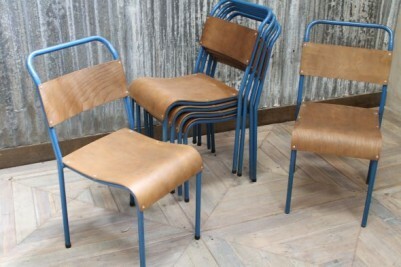 Our vintage industrial furniture range includes a huge selection of products, such as these original stacking chairs. 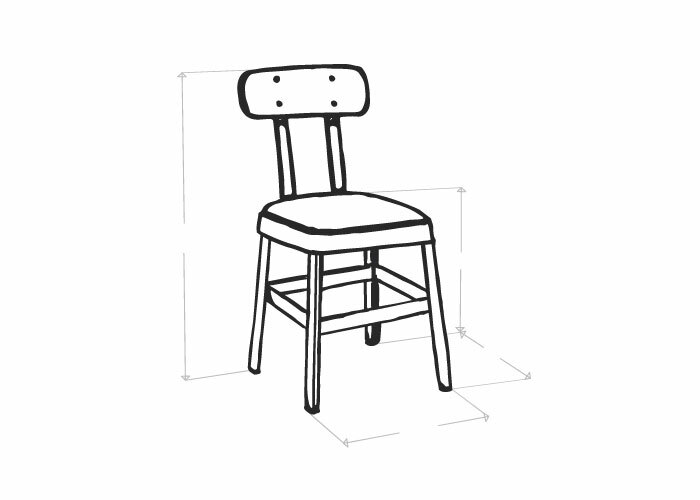 Just one model out of 100s of stackable chairs we currently have available, this chair has a metal frame with a straight leg design in a blue paint finish, and a plywood seat and back. 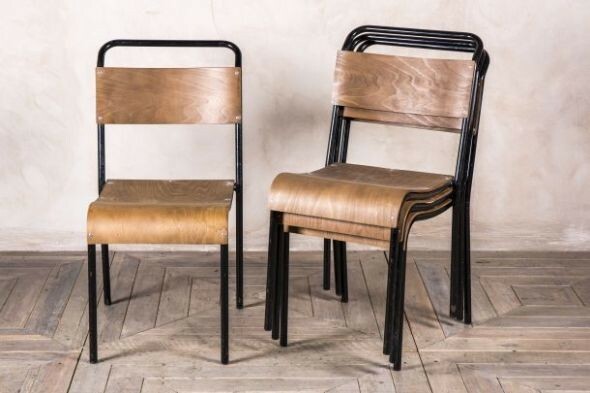 These chairs are popular with bars, cafes, pubs and restaurants as they are extremely practical; they can be easily stacked for storage or piled up to allow floors to be cleaned. The chairs are all in good condition for their age, with lots of character and charm. 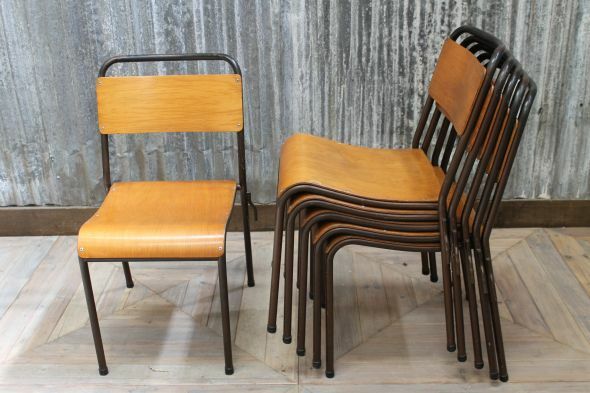 Please be aware that they are vintage items and will have some signs of wear and tear. 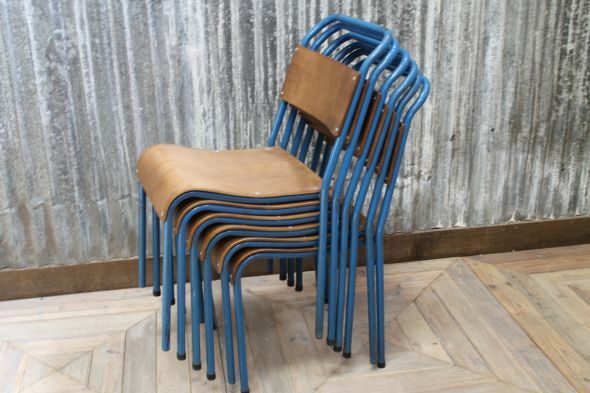 Browse the rest of our website to see our full range of stacking chairs and other vintage industrial furniture.